Cobots or ‘collaborative robots’ was first conceptualized by General Motors Foundation in 1953 as part of a research project. The brainchild behind the idea was to prepare robots so safe that they work hand in gloves with people. 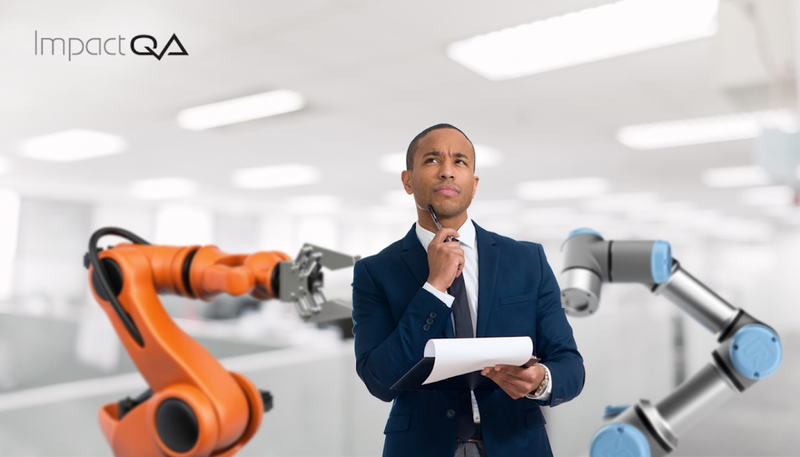 With no one-size-fits all solution and Cobots becoming part of many factory floors, many still don’t really understand how Cobots are different from robots. Robots have for decades acted as a backbone of the manufacturing industry replacing human’s mundane and time-consuming tasks. But soon advancements in engineering gave birth to Artificial Intelligence and introduced it to Robots gradually giving way to the idea of collaborative robots. Today industrial Robots certainly hold a tight grip over the markets however Cobots are a definitive competitor to them. To help end users in making this determination, Ryan Guthrie, senior vice president of TM Robotics, offers the following list of pros and cons for each robot family. With appropriate safety mechanisms in place almost any robot is capable of collaborative operation. The publication of technical standard ISO/TS 15066 in February 2016 provided industry with safety guidelines for the use of robots in collaborative applications. The standard explains collaborative techniques and provides force guidelines, maximum allowable robot power and speed and design criteria for robot and robot tool manufacturers. During a discussion about the use of Cobots at The Automation Conference in 2016, an attendee pointed out that, after purchasing a Cobot for use in a production area, OSHA ruled that the Cobot required safety caging due to the application in which it was being used. This ruling led the attendee to question the value of Cobots in applications such as theirs. Impact QA is an award winning global QA firm lending QA and Software Testing services to global customers including fortune 500 companies. Headquartered in New York we have delivery centres in Dallas, London and New Delhi. We are also cognizant of the fact that organizations these days use various tools for QA automation, defect management and test management. It is for this reason that we have every possible arrow in our quiver and our people are experts in using and implementing those tools.